Dan Miller was fed up with dry cleaners. Working as a management consultant at McKinsey, a global management consultancy, Miller was a frequent, but frustrated dry cleaning and laundry customer. “It seemed like every dry cleaner I went to had an issue. My clothing smelled like chemicals. The store closed early. There was broken buttons on my shirt. You name it, if I went to the dry cleaner it wasn’t going to be a good experience,” Miller said. With that in mind, Miller quit his job as a consultant and set out to reimagine the $10 billion dry cleaning and laundry industry. Now with locations in Minneapolis, San Francisco and Dallas, he’s doing just that. 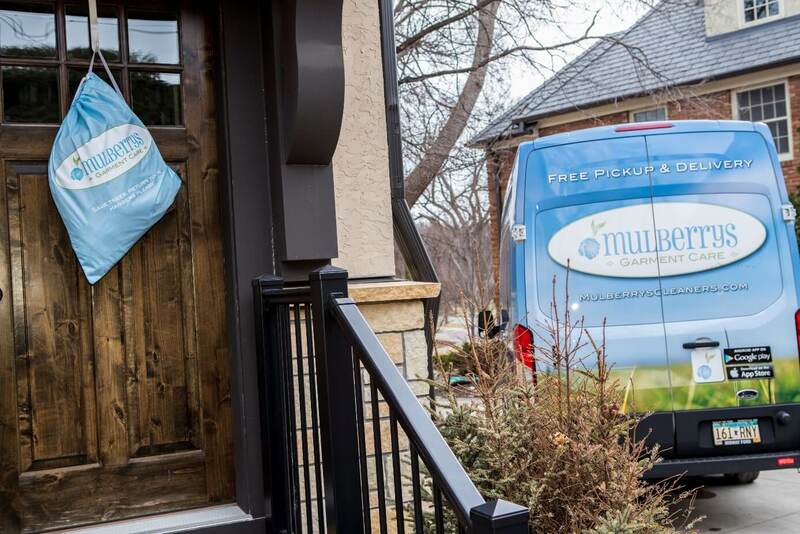 “We want to reimagine the dry cleaning and laundry experience end-to-end, so that at every touchpoint you have with Mulberrys, you say to yourself ‘wow, I never knew dry cleaning and laundry could be like this,” Miller said. Mulberrys provides a completely unique dry cleaning and laundry experience. Walking into a Mulberrys store is more like walking into a spa than a dry cleaner. The smell of rosewater floats through the air while free coffee and snacks rest on the counter. The store attendant is well-dressed and smiling and the shelves are stocked with green cleaning products. The company offers same-day, on-demand pickup and delivery service via their mobile app. In certain areas a driver can be at your house in as little as fifteen minutes. The app also allows you to track your order so you can see when it’s done and monitor the driver as they deliver your order. Mulberrys also allows you to schedule a pickup with a text, and if you’re a store customer you can send their stores a notification to let them know you’re on your way. it isn’t just technology that sets Mulberrys apart. The company is focusing on taking quality to the next level as well. Clothing is automatically assembled and bagged using a state-of-the-art assembly conveyor and their dry cleaning and laundry technicians perform a 10-point inspection on every garment that passes through their doors. The icing on the cake? Garments are hung on wood hangers to hold their form. 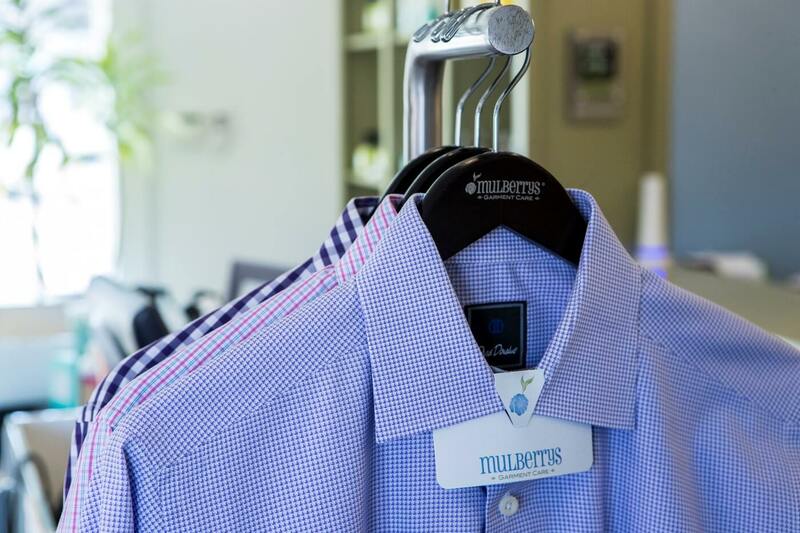 While providing a great dry cleaning and laundry experience is the core of what Mulberrys does, Miller insists that being a good corporate citizen is an equal part of the Mulberrys culture. “In everything we do, we ask ourselves are we doing this in the most environmentally-friendly way possible,” said Miller. The company uses eco-friendly solvents and laundry detergents to clean the clothes and all of their packaging is recyclable or reusable. Cleaning facilities are powered by solar and wind and Mulberrys donates to renewable energy projects to offset any carbon emissions. Miller says that the company will be the country’s first national dry cleaning and laundry chain. Will they make it? From what they’ve accomplished so far the odds are strongly in the yes column.